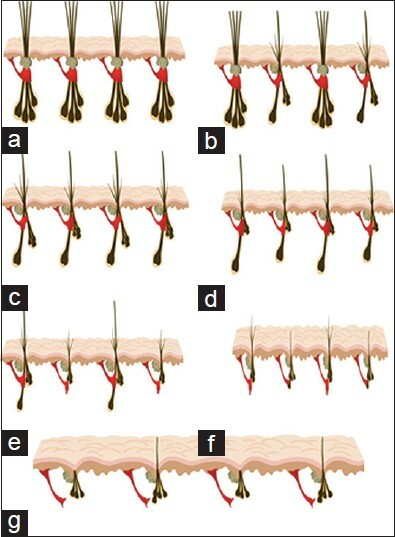 The arrector pili muscle (APM) consists of a small band of smooth muscle that connects the hair follicle to the connective tissue of the basement membrane. The APM mediates thermoregulation by contracting to increase air-trapping, but was thought to be vestigial in humans. The APM attaches proximally to the hair follicle at the bulge, a known stem cell niche. Recent studies have been directed toward this muscle's possible role in maintaining the follicular integrity and stability. This review summarizes APM anatomy and physiology and then discusses the relationship between the follicular unit and the APM. The potential role of the APM in hair loss disorders is also described, and a model explaining APM changes in hair loss is proposed. Aim: Dermatologists most frequently prescribe shampoos for the treatment of hair shed and scalp disorders. Prescription of hair care products is often focused on improving scalp hair density, whereas the over-the-counter products focus on hair damage prevention. Little is taught in medical schools about the hair cosmetics, so that the prescriptions are based only on the treatment of the scalp and usually disregards the hair fi ber health. Materials and Methods: In this work, we review the current literature about the mode of action of a low-pH shampoo regarding the hair shaft's health and analyze the pH of 123 shampoos of international brands. Results: All shampoo pH values ranged from 3.5 to 9.0. 38.21% of all 123 shampoos presented a pH ≤ 5.5 (IC: 29.9-47%) and 61.78% presented a pH > 5.5. 26 anti-dandruff shampoos were analyzed. About 19.23% presented pH ≤ 5.5. (IC: 7.4-37.6%). 80.77% of all anti-dandruffs shampoos presented a pH > 5.5. The dermatological shampoo group ( n = 19) presented 42.10% with pH ≤ 5.5 (IC: 21.8-64.6%), and 57.90% with pH > 5.5. Among the commercial (popular) products ( n = 96), 34.37% presented pH ≤ 5.5 (IC: 25.4-44.3%) and 65.62% presented pH > 5.5. 15 professional products (used in hair salons) were analyzed, of which 75% had a pH ≤ 5.5 (IC: 18-65, 4%), and 25% had a pH > 5.5. 100% of the children's shampoos presented a pH > 5.5. Conclusions: Alkaline pH may increase the negative electrical charge of the hair fiber surface and, therefore, increase friction between the fibers. This may lead to cuticle damage and fiber breakage. It is a reality and not a myth that lower pH of shampoos may cause less frizzing for generating less negative static electricity on the fiber surface. Interestingly, only 38% of the popular brand shampoos against 75% of the salons shampoos presented a pH ≤ 5.0. Pediatric shampoos had the pH of 7.0 because of the "no-tear" concept. There is no standardized value for the final pH. The authors believe that it is important to reveal the pH value on the shampoo label, but studies are needed to establish the best pH range for both the scalp and the hair fiber's health. Background: A sensitive scalp is a frequent problem in daily clinical practice and often represents a major challenge for dermatologists. Objective: The objective was to evaluate the efficacy of a Northamerican Virginian Witch Hazel (Hamamelis virginiana)-based shampoo and tonic (Erol ® Energy) for treatment of the sensitive scalp. 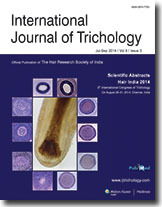 Methods: Retrospective observational study of male and female patients given Erol ® Energy products in the period between August 2010 and December 2013 at the Center for Dermatology and Hair Diseases Professor Trόeb to treat irritable scalp conditions or as concomitant treatment to minoxidil therapy for androgenetic alocepia. Results: Shampoo was applied successfully in 1,373 patients (1,233 women and 140 men). Patients reported improvement of subjective manifestations of irritation and rated tolerance of both products as good to excellent. During this period, 369 (26.9%) have received Erol ® shampoo more than once. 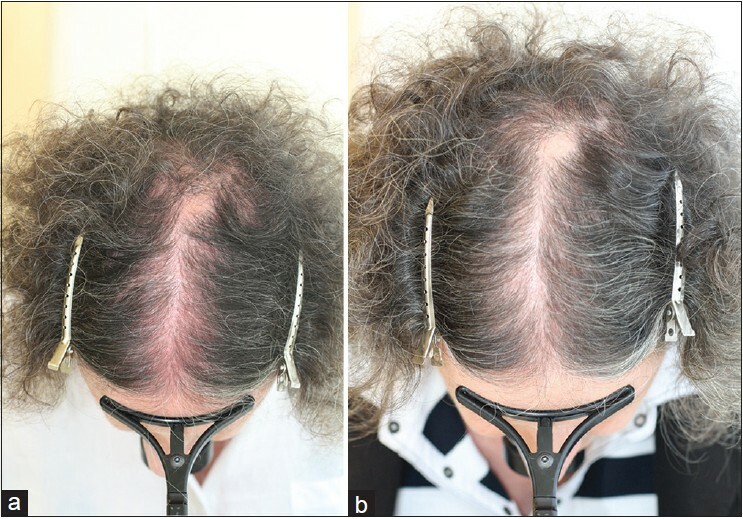 Conclusions: The choice of appropriate hair-care products represents an important aspect in the management of the sensitive scalp and related conditions. With the Erol ® Energy hair-care products, the advantages of H. virginiana are available for successful treatment of the scalp, especially in the context of problems associated with red scalp, scalp burn-out, and the use of topical minoxidil for androgenetic alopecia.